Fabsil 1Ltr. Silicone based universal proofer suitable for all fabrics. A highly effective silicone-based water repellent treatment for all kinds of tent, tarpaulin, canopies and awning fabrics. 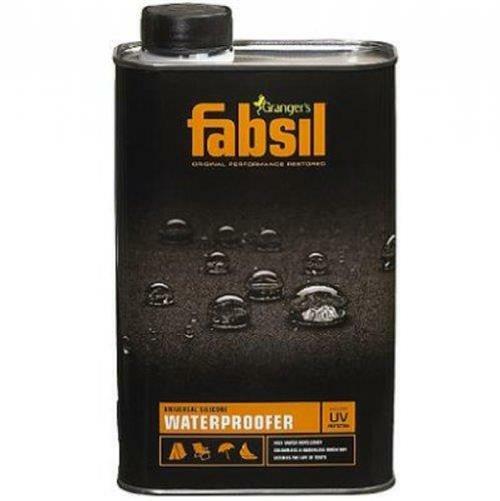 Fabsil Liquid 1L is a silicone-based water repellent treatment for all kinds of tent, tarpaulin, canopies and awning fabrics. It dries to an odourless and colourless finish and will really extend the life and performance of your tent. This stuff's pretty magical! 1ltr will cover upto 18sq metres of nylon, 7.5sq metres of light weight canvas and 5sq metres of medium weight canvas. A light 2 person tent is approx 6sq metres. Ensure the fabric being treated is clean and free of debris. Apply with a clean paintbrush, using long even strokes. 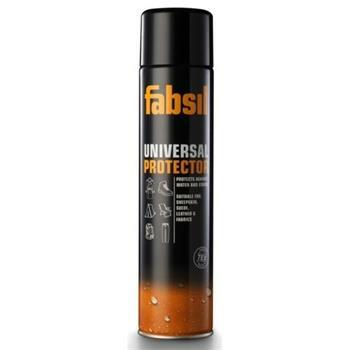 Alternatively, decant Fabsil into a spray and apply using a fine mist setting. Ensure good coverage is achieved. Wipe away any excess Fabsil, including any droplets, with a clean cloth. Allow the product to dry completely before exposing to any moisture.